Persuade the evaluators that purchasing your product is right thing to do, and the deal is closed. The third stage of the Pipeliner Selling System is Convince. At this point in the buyer’s journey, the buyer has become an Evaluator. They are now looking over your product or service carefully and comparing it to company issues. At this stage, you are convincing the buyer—and all decision-makers and influencers at the company acting as evaluators—that purchasing your product or service is absolutely the right thing to do. It’s all about demonstrating to the prospect that you have totally understood their business issues and the buying criteria involved. and that you’re meeting their particular needs. It is at this stage that the sale is made. B2B and consumer buying are quite different. When we make bad decisions as consumers, it may get us into trouble at home with our spouses for buying something stupid that didn’t work, or purchasing a needless extravagance, but that’s about as far as it goes. In a B2B scenario, however, when a buyer makes a decision to purchase on behalf of a company, it can have significant ramifications: it can be career-enhancing, or alternatively, it can potentially get them fired. If they commit the company to a purchase, they’re putting their de facto personal stamp of approval on it. They’re going to be forever associated with that product. So you not only need to convince the buyer that it’s good for the company, but also that it’s a good move for them personally. As you move through this phase, the buyer doing the evaluation is going to need your consistent, smooth reassurance that they’re doing the right thing. In selling to consumers, it’s often only one person you need to convince. But in B2B buying it’s a different story—there is generally more than one person involved. As a salesperson, you need to track each one of these individuals and their different concerns. 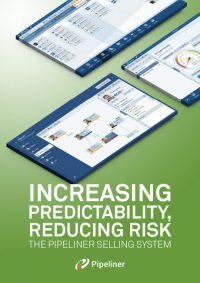 For example, the major decision-maker is worried about whether your solution is truly right for the company, while the financial sign-off person is only focused on pricing and ROI. A common mistake salespeople make is to rely on one overriding message or set of messages about their product, used for everyone they come in contact with. Operating this way, you’ll waste time trying to convince someone of benefits they may not care all that much about. Each one of these individuals will have different concerns and different issues they are addressing. Your job is to map your solution back to these different concerns, and show clearly in each case (convince them) how your solution is the answer for them. In order to be effective, the Convince stage needs to go well beyond your verbal arguments. You’ll need to support arguments with case studies, customer referrals, online reviews, white papers, comparison charts, and anything else that will assist them in positively evaluating your solution. Whenever possible, use these tools to target exact issues with specific company stakeholders. Another tool you will use constantly is your own record of conversations you’ve had with each of your contacts, and all of the issues they have voiced. You’ll be reinforcing these issues repeatedly throughout this stage, showing that your solution is going to meet those needs. If your product or service involves a trial, it becomes a key tool in the Convince stage. It also becomes a key tool in prospect evaluation, because it can show with a fair degree of accuracy how your product will impact their company. How you utilize the trial is very important because you dealing with different individuals with different issues. How you utilize the trial is very important. Remember you’re dealing with different individuals with different issues. You don’t want to just hook them up with the trial and say, “Okay, here you go, have at it.” With that trial, you want to address every issue with every person involved with the process. You should follow up during the trial period to make sure that all key personnel took advantage of the trial, and ensure that their concerns were addressed. 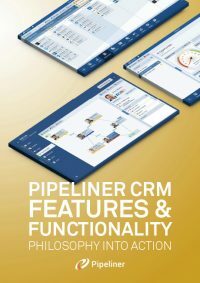 For example in the case of selling a CRM system such as Pipeliner, one person might have had the need to generate dynamic reports—so you would go back to that person and that feature and ensure they saw it. Another, perhaps a senior executive, might have had the need to be able to instantly see the state of sales at any given time. Make sure they know that they can—it’s all part of their evaluation process. In any sale, you’re going to be coming up against the competition, whether stated outright by your prospect or “behind the scenes.” In either case, you need to be prepared well in advance. The competition will most likely be part of your prospect’s evaluation, too. Here’s the key: If you know who your competitors are (and you certainly should), you know how their strengths compare with yours. No one product or service ever has the best of everything. One product may have 8 out of 10 key benefits which is fantastic. Maybe another only has 2, but they may really work for some customers. The path you’ve been following up to this point applies here as well: What’s important to the buyer? If your product is second best to one of your competitors in regard to a key feature that’s important to the buyer, then you have to figure out a way of elevating some of the other things that you’re good at to a higher level of importance. Based on the buyer’s criteria, ensure that your product’s strong points—ones that meet your prospect’s needs—make it to the top of their list. Don’t forget to arm yourself with comparison documents, which of course should include pricing. It’s important throughout the selling process, but at the convince stage it is especially critical that empathy, respect, connection, and relationship come into play. Your prospect needs reassurance that you and your product are supporting them the whole way through. Part of this reassurance can come from demonstrating what life will be like beyond the sale. The message you want to convey is, “We’ll look after you every step of the way.” We’ve all been through a great sales experience in which the salesperson was wonderful—but then you sign on the dotted line and you never hear from them again. Or you call them up and they say, “I’ll just put you through to Support” which is, of course, a completely different person. To say the least, it leaves a bad taste. You need to constantly reassure them that they will be well looked after and you’re going to make sure that happens. If there are any issues, you’re going to be around for them. The overall goal here is to help the prospect feel comfortable about taking the next step. You need to overcome all of the hesitancy and all the doubt they may have. A healthy part of your prospect’s evaluation will be in how well you’re taking care of them now, and how well they think you’ll take care of them after the sale.